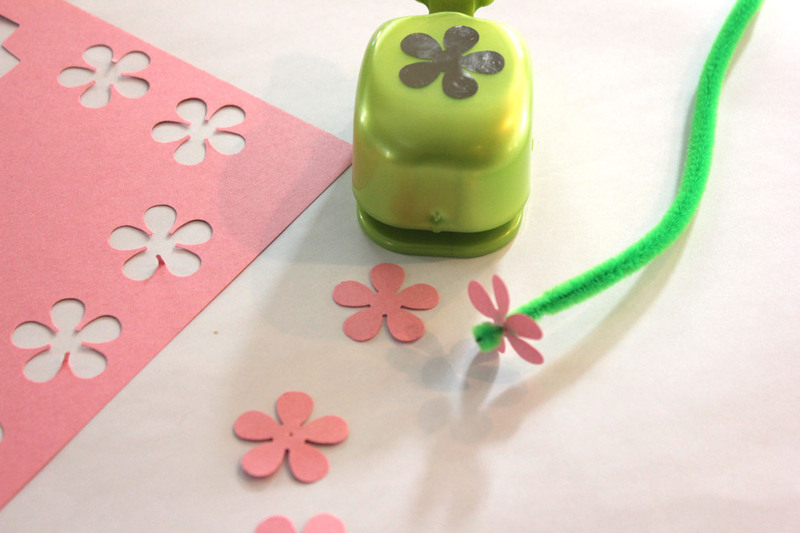 Here is a quick little Spring craft that I wanted to share. 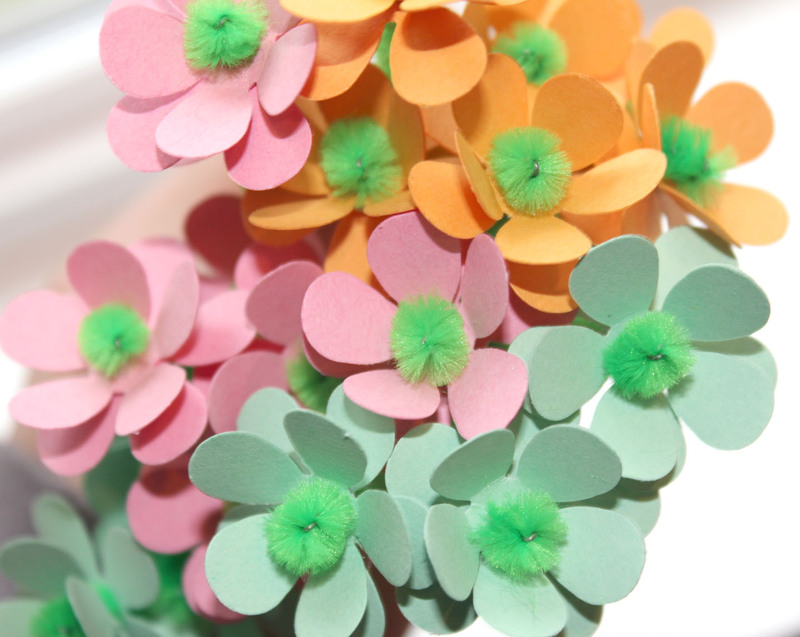 We made paper and pipe cleaner flowers with a cute little flower punch I found on sale at Michaels the other week. I’ve been having so much fun with this punch! Actually, big brother has been hogging it now that I showed him how to use it. 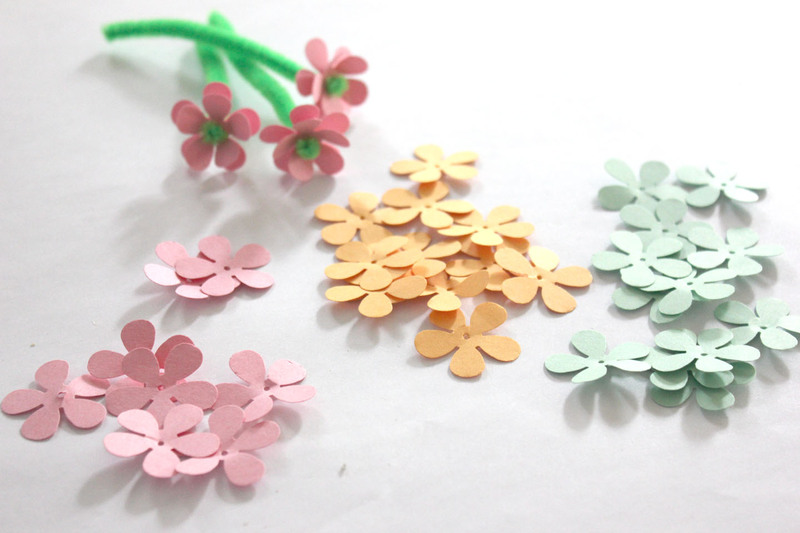 First I (ok we…errr…mostly big brother) punched out a bunch of flowers using a couple different colors of card stock. I then pricked a hole in the center of each one with a thumbtack. 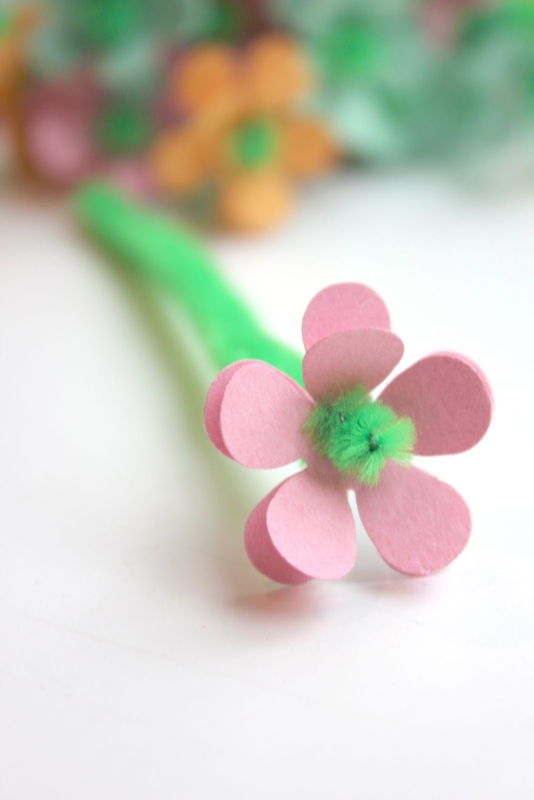 I cut green pipe cleaners into 3 sections and poked it through the hole in the middle of two flowers, then folded over the tip of the pipe cleaner to create the center of the flower. Lastly, I folded up the petals of the top flowers only. That’s it! Those are so cute. My little girl would love making these. : ) Thanks for sharing on fun frugal friday. What a great craft! And so cute! wow, so simple and so sweet! thanks so very much for sharing on Craft Schooling Sunday, I look forward to see what you've been up to! Super cute! My daughter will love making these! I really welcome some new thoughts on creating different types of crafting.